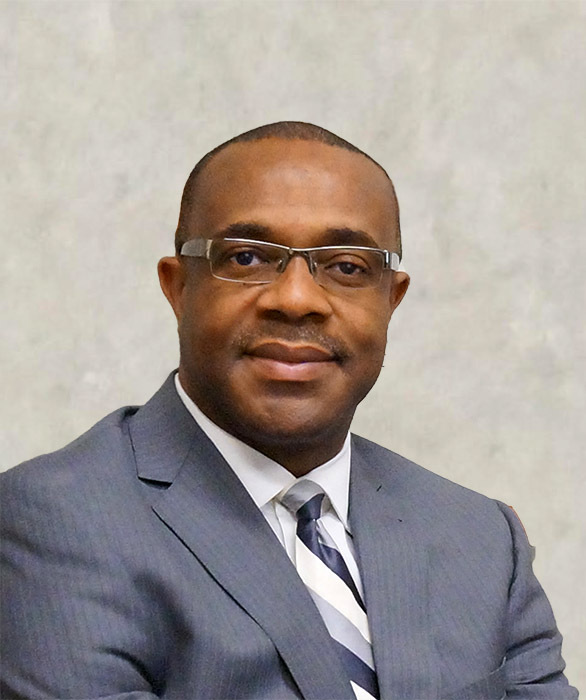 Fidelis O. Mkparu, MD., FACC. Dr. Fidelis Mkparu was born in Onitsha, Nigeria. He moved to the United States of America at the age of 17 to attend college and was awarded a BS degree with honors from SUNY-Albany. He was a Ph.D. candidate in Biophysics at Wayne State University where he elucidated spin-spin interaction of sickle red blood cell membrane protein interactions. He left Wayne State University after he was awarded a State of Tennessee Medical Scholar at Meharry/ University of Tennessee Medical School. He was also a recipient of a Reader’s Digest medical scholarship. He was a National Institute of Health (NIH) summer student research scholar at Vanderbilt University Medical School. He completed his residency training at Indiana University Medical School before his cardiology fellowship at The University of Connecticut Medical Center under the tutelage of the world renowned cardiologist Dr. Arnold M. Katz. He was awarded the coveted NIH fellowship in basic and clinical cardiovascular research. His research was in regulation of calcium transients by Ryanodine channels in cardiac sarcoplasmic reticulum, and arterial IP3 receptors. After Connecticut, he became a “Spaulding Cardiovascular disease fellow” in advanced cardiac imaging and function (Nuclear Cardiology and Nuclear Magnetic Resonance Imaging/ Spectroscopy) at Harvard Medical School/ Massachusetts General Hospital. His research focus was in altered bioenergetics in heart failure cardiac and skeletal muscles. He presented his research findings at national/ international medical meetings and published several research papers. He was inducted into Paul Dudley White Honor Society in 1994 by the Cardiovascular Department, Massachusetts General Hospital/ Harvard Medical School. In 1994 he was appointed by Procter and Gamble Pharmaceutical to oversee their worldwide Azimilide mortality trial while holding clinical appointment in Boston. He had the opportunity to attend Procter and Gamble corporate college for future corporate leaders in 1995. He was one of the first few cardiologists to be board certified in Nuclear Cardiology when the board examination was first given in 1996. He is a fellow of the American College of Cardiology, American Society of Nuclear Cardiology, American Society of Echocardiography, and American College of Chest Physicians. He is one of the founding members of the Society of Cardiovascular Computed Tomography. He was honored by the American Heart Association (AHA) in 2009, and is the President of the American Heart Association board of directors for Stark and Wayne counties. Dr. Mkparu is married and has three children. He is a member of Saint Michael’s Catholic Church, Canton Ohio, and a Knight of Columbus.